Your body’s blood delivers oxygen to all of the organs. This includes the brain, which requires a constant supply of both blood and oxygen. Without either, the brain is forced to shut down, leading to irreversible brain damage. This condition is known as brain hypoxia or brain anoxia. The body will respond by increasing the blood flow to the brain. However, the body can only naturally double the normal level. If this is not enough to compensate for the damage, brain function will decrease and negative symptoms will begin to present themselves. Your body will immediately respond to a lack of blood or oxygen to the brain. Of course, how it reacts depends on the extent of the injury. The worse the injury, the more extreme the effects will be. If the cerebral anoxia is relatively mild, you may experience noticeable issues with concentration, attention span, coordination, and short-term memory. These symptoms are likely to be subtle at first. You may also experience a headache, lightheadedness, dizziness, or trouble breathing. If the anoxia is more severe, you’ll experience confusion, agitation, and drowsiness. The skin will start to turn a bluish color. This is often most apparent around the lips, mouth, and fingertips. The nerve cells within the brain are extremely sensitive. A distinct lack of blood or oxygen to these will produce damage to the cells. Some areas are more vulnerable than others, though. During a significant interruption of blood flow, such as during a heart attack, the areas furthest from the three major arteries supplying the brain are likely to be damaged first. These areas may lead to infarction (tissue death), which in turn contributes to a risk of strokes. 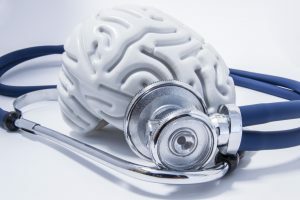 There are long-term consequences of blood or oxygen loss to the brain, the severity of which depends on how irreversible the damage is to the brain. A short-lived anoxia, for instance, may result in a complete recovery. A more severe anoxia, however, usually leads to long-term effects. The cerebral cortex, which leads to limb weakness, movement and balance issues, and a loss of coordination. The occipital lab, contributing to a loss of visual function, known as cortical blindness. The hippocampus, near the inner surface of the temporal lobe, which can result in memory problems. The areas of the brain involved with the production and articulation of speech, causing a disturbance in speech patterns and written communication. The hypothalamus or pituitary gland, leading to hormonal issues, including hypopituitarism. As you can see, there are both short- and long-term effects of blood and oxygen loss to the brain. Your brain cannot function correctly without a constant supply of both. 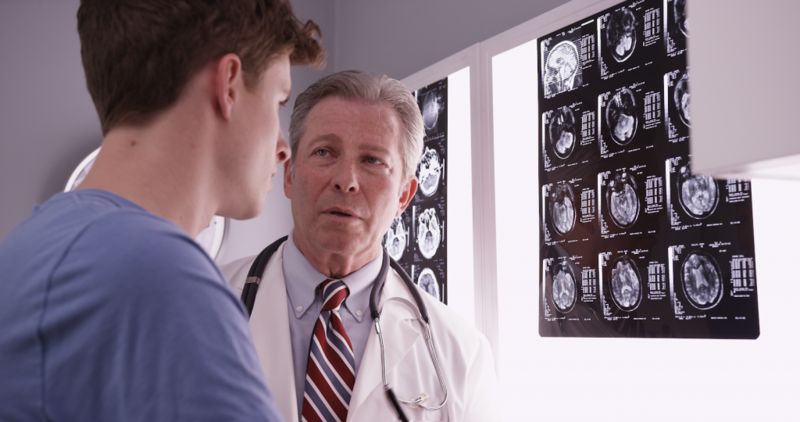 After a severe injury or a heart attack, immediately go to the hospital to schedule a brain scan. The damage may be hidden at first, but it will most likely present itself over time. For traumatic brain injury support, visit our community at TryMunity. We have a large support network spanning the whole country. Each year, an estimated 1.7 million people sustain a traumatic brain injury (TBI) in the wake of some kind of accident. Of those millions, many will go on to lead drastically-impacted lives and will struggle with physical and mental problems. After a head injury, it can be difficult to determine if the affected person has sustained a concussion that will heal naturally, or if they are experiencing more serious warning signs that could indicate a TBI. When observing someone with a concussion, here are five symptoms that require immediate medical attention. With a serious concussion, a person may feel their mind start to slow down. This can cause them to struggle with memory problems, concentration, speech, and clear thinking. If the mental struggles are severe enough to be noticeable, this can be a sign of a more serious brain injury. Although fatigue is a common symptom of concussions, it’s not a good sign when the affected person can’t stay awake for very long. If it’s difficult to keep them lucid or if they don’t respond to wake-up calls once they fall asleep, then you should return to the emergency room for further observation and testing. No matter what, these symptoms require further medical attention. A simple concussion with no long-lasting repercussions will not trigger worrisome seizures or convulsions. It’s normal for people with concussions to feel nauseous, but if they continue to feel increasingly sick and vomit many times, then it might be time to seek further medical attention to ensure there are no underlying issues. Headaches are a very common concussion symptom, but as time passes, the headaches should lessen. Also, they should be treatable with normal pain medication. If the injured person claims that the headaches are getting worse and that the medication isn’t helping, they need to seek additional medical treatment. If you or someone you know has experienced a TBI as a result of a concussion, don’t hesitate to reach out to the online support group called TryMunity. TryMunity members will offer you the knowledge and support you need to handle this life event. 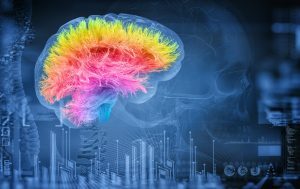 In recent years, an important discovery has been made in the world of traumatic brain injury research: Scientists found that the use of popular music can help affected patients recall personal memories that they would otherwise struggle to remember. The question is, how does music help? It’s been widely known for years that music can evoke important memories and emotions for all kinds of people, whether or not they have suffered a brain injury. Just like hearing a song from 10 years back can take you back to a specific age and place, listening to popular music in the wake of a brain injury can give memory a helping hand. Although scents, discussion, and other tactics can be used to help evoke memories, scientists found that patients who listened to songs were far more likely to recall familiar places, people, and things than those who used other methods. The difference in recall is especially marked in those relying only on discussions about their memories. It is thought that music stimulates autobiographical memories in a very specific and powerful way. Even people whose brains have been permanently altered or who suffer from amnesia might be able to remember more with music than without. There is still much research to be done on music and how it triggers memories, but one thing is clear – popular songs can be used as a tool for people who struggle with memory, especially after a serious brain injury. To learn more about ways to boost memory and deal with the aftermath of a traumatic brain injury (TBI), join the online support group called TryMunity. Family members and friends of people with TBI, as well as the survivors themselves, will offer support and knowledge to help you and your loved ones. Visit www.TryMunity.com today to sign up and learn more. There’s really no other way to phrase it: Traumatic brain injuries are terrifying. One accident changed their life forever and caused them extreme pain, and as a result, many traumatic brain injury survivors live in fear of suffering another accident. Some have problems performing daily activities due to crippling anxiety while others manifest horrifying scenarios inside their heads. Because of these fears, TBI survivors may need therapy and strong emotional support from the people in their lives. If you ever feel that a TBI survivor is ignoring what you’re saying or purposefully not engaging in conversation, remember that their brain is no longer the same. What appears to be a lack of attention might actually be the person’s struggle to understand, remember or communicate. Be patient and give them the time they need to comprehend what you’re saying. When a TBI occurs, the damage can last indefinitely, even if the injuries are invisible to the naked eye. Most traumatic brain injury survivors deal with chronic pain from their accidents in the form of terrible migraines, chest pains, neck aches or more. Even if a TBI survivor appears to be fine, keep in mind that they’re dealing with more discomfort than you probably realize. The pain, difficulty thinking, and physical struggles that accompany a traumatic brain injury often leave survivors feeling drained. Even when you’re frustrated and feel like the survivor isn’t helping you care for them, don’t mistake their fatigue for laziness. Try to remember that TBI survivors need more sleep than a normal person and that every day takes a heavy toll on their physical and mental energy levels. If you are caring for someone with a TBI and need additional support, turn to TryMunity’s online community. The nonprofit organization can give you and your loved one access to a network of survivors and supporters, as well as important resources and words of encouragement. 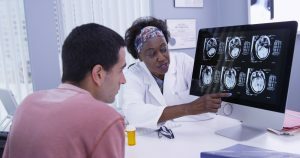 What Is Recognized as an Acquired Brain Injury (ABI)? Do you know what an acquired brain injury (ABI) is? Many people know what a TBI is, but not an ABI. And, most people aren’t aware of the differences between the two. In truth, these are both complex, wide-ranging injuries. Here at TryMunity, we’ve decided it would be helpful to describe, in depth, what an acquired brain injury is. We’ve provided a definitions of acquired brain injuries below, as well as their key characteristics. Check it out below! Do you have further questions about how to recognize an acquired brain injury? Don’t hesitate to contact TryMunity. Here at TryMunity, we provide a vast, comprehensive web of resources for just that! We also have several support systems for those afflicted with a traumatic brain injury, or who know of someone who is. Please feel free to contact us with any questions you may have! Join the TryMunity community today, and take advantage of all that we offer. We’re always happy to speak with you, and offer our assistance.